Owning a condo is a fusion of apartment living and home ownership. For many, it offers the best of both worlds: the opportunity to own property without the hassles of physical labor and maintenance. There are no yards to mow, yet there are also no landlords to answer to. In fact, condo living is so unique, it requires its own specialized type of insurance protection. Condo insurance should never be viewed as an optional form of coverage. Often, owners of condominiums believe that the master insurance policies owned by their condo association will provide more complete coverage than is actually outlined in the plan. In most cases, the condo association will have independent coverage that protects the basic structure of the condo. It is up to you as an owner to protect its contents and your personal belongings. Personal condo insurance takes into account the fact that you are only responsible for insuring a portion of your property. However, the rules vary among different complexes, so it is important to review your coverage needs with an independent agent before selecting a plan. This helps to ensure there are no gaps in your coverage and also helps prevent purchasing coverage for something that is already insured by your condo association. Foregoing adequate condo insurance could leave you in a serious bind. For example, what happens if a fire sweeps through your complex, leaving you with nowhere to live and no personal belongings? The condo association insurance pays to rebuild your condo, but it does not pay for the replacement of cabinets, flooring, or any of your clothes, furnishings, décor, or electronics. It is your personal condo insurance plan that helps to repair and replace personal losses, as well as cover your living expenses while your condo is being rebuilt. 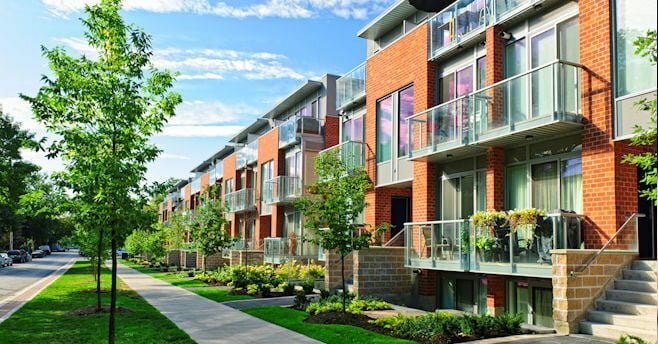 Keep in mind that your personal property is not the only thing covered under condo insurance. In addition, policies are underwritten to include protection against litigation and lawsuits that threaten your financial health and assets. For instance, you could be held liable if your dog bites a neighbor’s child in your complex. Not only will you be responsible for medical payments, but you may also be sued for pain and suffering and any wages a parent may have lost while caring for the child. Liability coverage helps pay for the medical payments, legal defense fees, and any judgments against you. Condo owners have another unique responsibility that homeowners and renters do not face: shared expenses. Your condo fees are assessed and used to pay for the upkeep of your complex. However, sometimes a major repair comes along that depletes the association’s reserves and requires additional funding shared among the residents of the building. Perhaps an elevator needs to be replaced, or a pipe bursts, flooding part of the building. These types of unexpected fees can cost thousands of dollars. The inclusion of loss assessment coverage on your condo insurance policy could help offset your costs when the association’s master policy falls short. If you own a condo in Wisconsin, don’t play games with your coverage. Make sure that you know the terms of both your master association policy and your personal condo insurance policy to ensure there are no shortfalls between them. For more information about condo insurance or to request a free quote on coverage, contact Carrigan Insurance today. We look forward to serving you soon.